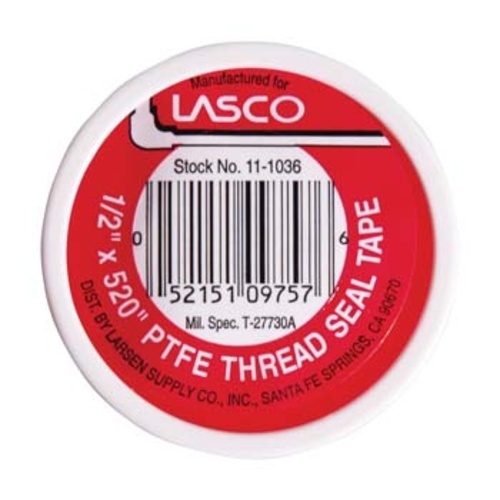 Plumber's tape, or PTFE thread seal tape, is used to connect NPT (national pipe thread) style threads. Use three wraps for brass and six wraps for stainless steel. 1/2'' wide x 520'' long roll. Purchased threaded items = Need plumbers tape. I used this on my kettle to attach a thermometer and spigot. It works great. It's a good thing to have on hand. I purchased this to install on my new 10 gal brew system. I added several quick disconnects and two pumps. Tape worked great. I would recommend this product for your system. This is a good thing to have around. It seems to be high quality plumbers tape.